Everybody who knows me is aware of my appreciation of beautiful footwear. I once owned a pair of gorgeous stiletto D’Orsay suede pumps with such exquisite gold metallic trim that I perched them on a shelf to admire. However, the heels were so impossibly high that I could barely navigate a hallway in my own house. And yet, it was at least 2 years before I could bring myself to part with them. I’ve always loved heels and remember fondly the days when I could race through an airport terminal at full speed wearing 4-inch heels, make the tight connection, and saunter onto the plane without callous, corn, or agonizing pain. Ah, those were the days! But sometime around my 48th birthday, my long abused feet began to rebel. And my right ankle, which has experienced more sprains, twists, tendon injuries and jolts than any joint should endure, finally refused to support my habit. So I went in search of stylish, comfortable, versatile, heart stopping gorgeous flats. After much trial and error that resulted in painful heels & arches, blisters, skin rubbed raw, bruised toes, and overall discomfort, I stumbled upon Tieks foldable ballet flats and Marc Joseph mocs & loafers. Both companies offer amazing comfort, practicality, versatility, a wide selection of colors and prints and take basics to a new level of style. 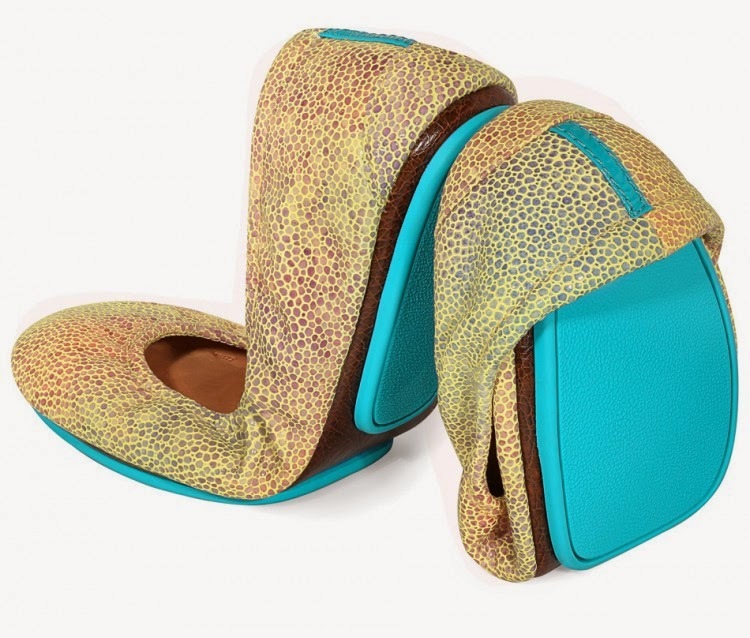 But these features come at a price and I’m not sure I can bring myself to purchase the gorgeous Toscani Tieks that I’ve eyed since the design was at the early stages of inceptions a year ago. Tieks just launched Toscani. I had an invitation to be one of the first to order them. I deleted the email. But, I want them. They are way beyond what I am willing to pay for shoes. They call to me. I lurk on the Tieks Facebook page reading the posts of those who have already received their orders. But I resist. If, however, my size is still available in late July when I celebrate 55 years of joyful existence on this earth, and if the longing for Toscani has not waned, I will order them and wear them to the Billy Joel Concert at Nationals Park!